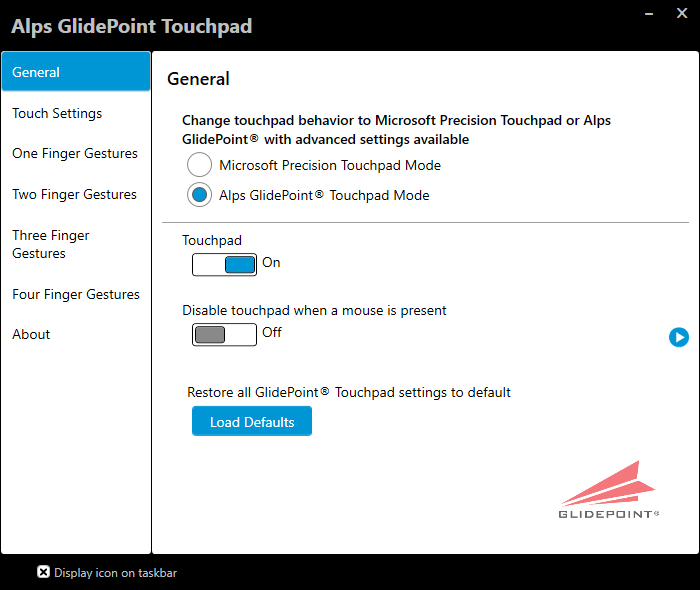 My old computer has a touchpad from Synaptics with a feature called “Momentum”. (I’ve also seen this called “Inertia” och “Inertial Scrolling”.) It causes the mouse pointer move a little bit before stopping after you’ve released your finger, as if friction is slowing it down. I find this makes using a touchpad more enjoyable, since it allows you to flick your finger when moving the mouse. 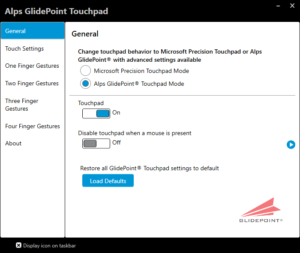 My new computer came with an Alps Glidepoint Touchpad. I was disappointed when I could not find any momentum settings in the settings. So I started digging through the registry to see if I could find some hidden settings, and I did! Sadly I find that the Alps implementation of momentum applies too much “friction”, making the mouse stop too fast. I have not been able to find any settings controlling this. If you do, please post a comment! This entry was posted in Tips and tagged drivers, mouse, regedit, touchpad, windows. Bookmark the permalink. I touch touch pads only by mistake, for me the worst mouse is incomparably better than the best touch pad.